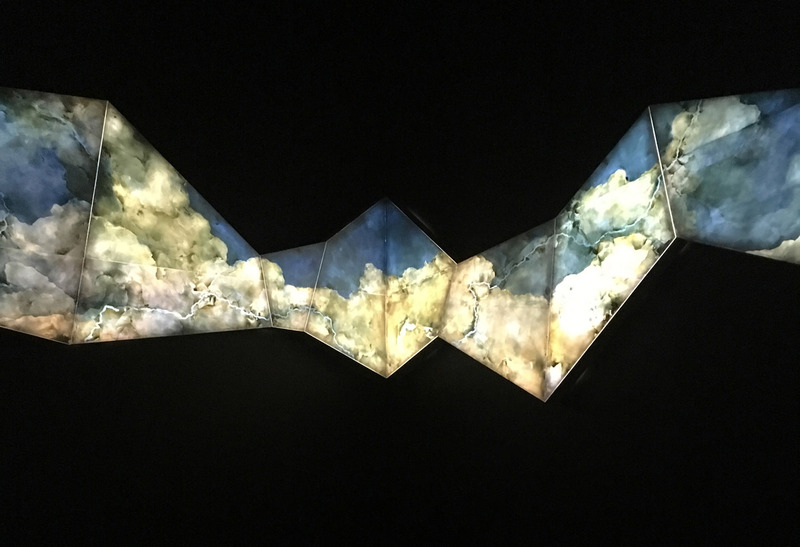 Shawn Camp’s EQUIVOCATION is an installation consisting of a wall painting, a video, a loop of sound, and a large back-lit painting in a room with subtly shifting light. The experience is a mediation on the cyclical nature of being and an abstraction of the way we perceive time and space. Read the review in the Austin Chronicle.